A quick post to celebrate one of our great volunteers. Thirteen-year-old Kylie from Florence, Kentucky, hosted a shoe drive last month and collected 642 pairs of shoes! Thanks to Kylie, these shoes will support safe water projects in communities around the world. How do we turn shoes into water? Donating new and gently used shoes can provide water to someone that needs it. 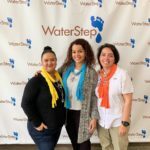 Shoes are sold to an exporter and the funds received support WaterStep’s mission to equip people with safe water solutions in developing countries. People get the safe water that they need. 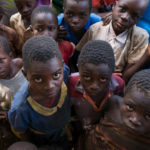 The shoe program helps to bring safe water to thousands of people every year. 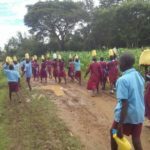 Providing safe water helps to eradicate the waterborne diseases that keep too many people from leading the full, productive lives they deserve. A person that was sick before can now spend time doing something else, like getting an education, learning a work skill, or taking care of her family. Shoe businesses support local economies. Once the shoes leave WaterStep, our exporter sells the shoes to local vendors in some of the same countries where we do water projects, contributing to small business ventures that support the local economy. Less waste goes to landfills. Shoes that might have been thrown away are re-purposed, keeping hundreds of tons of waste out of the landfill. Thanks to volunteers like Kylie, one pair of shoes can provide affordable footwear, help to build the economy of a community, cut down on waste, and, in the end, help someone get safe drinking water. Interested in donating your used shoes or hosting a shoe drive? See the Shoe Page for more information.